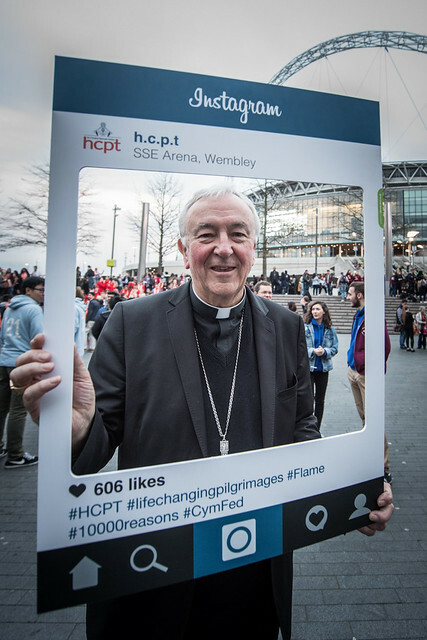 A BIG thank you to all our group leaders, musicians, speakers and contributors, the production crew and volunteers, the Cardinals and Bishops, CYMFed members and supporters, but especially; to our young people without whom there would be no ‘Flame’. Take a look at the Flickr Album here. Download the video here, or read the transcript here. What time should you arrive and when does the day start and end? The outer doors of the arena will open at 10am and the inner doors open at 11am. The programme will begin promptly at 12 noon and finish at 5:30pm. It would be best to time your arrival for about 10:45 – 11:20am. Download and print off the Joining Instructions once you have booked. ©2017 For all enquiries please contact admin@cymfed.org.uk. Registered Charity number: 1158109. Registered in England & Wales as a Company Limited by Guarantee No: 7970334. Recognised & supported by the Catholic Bishops' Conference of England & Wales.